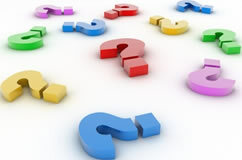 Below you will find a list of FAQ’s (frequently asked questions) relating to letter writing. What is a formal letter/business letter? As their name suggests, formal letters will incorporate more formal language incorporating correct spelling and punctuation. To find out more about the correct practice for writing a formal letter please visit our formal letter writing section. What is a personal letter/informal letter? Personal letters are sent from one individual to another individual or organisation in order to address matters of a personal nature. The main difference between a personal letter and formal letter is that personal letters can be used to express personal feelings and depending on the relationship between the sender and receiver do not require formal concise language. To find out more visit our personal letter writing section. “Yours faithfully” should be used if you do not know the name of the person that you are writing to. “Yours sincerely” should be used if you know the name of the person that you are writing to. Which salutation should I use? If you are writing a personal letter then if you are familiar with the person that you are writing to then it may be more appropriate to include their first name rather than using their title. This is a decision that you will need to make based on your relationship with the person in question. If you have any questions that have not been adressed on this website or that you feel should be included in this letter writing faq section then please contact us.